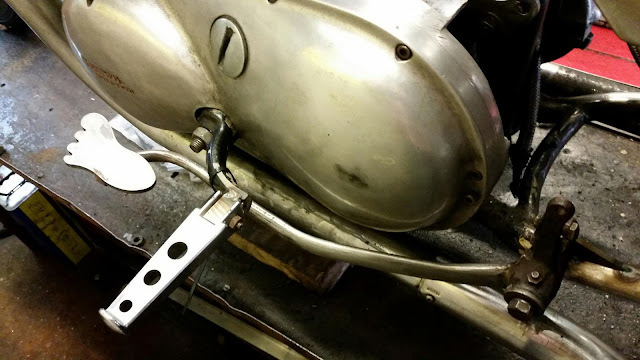 benchdonkees: Over the last few days been getting a bit more work done on the Tribsa chop. 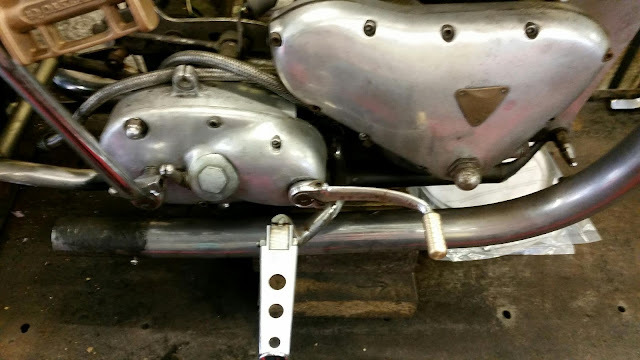 Over the last few days been getting a bit more work done on the Tribsa chop. 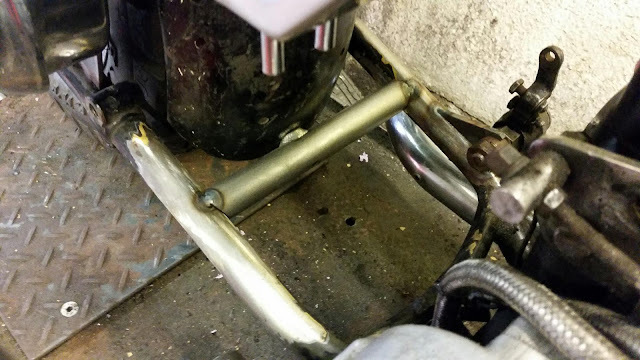 I got an old pair of Drag Specialties footrests tacked on, turned up a brass embellishment for the gear lever. 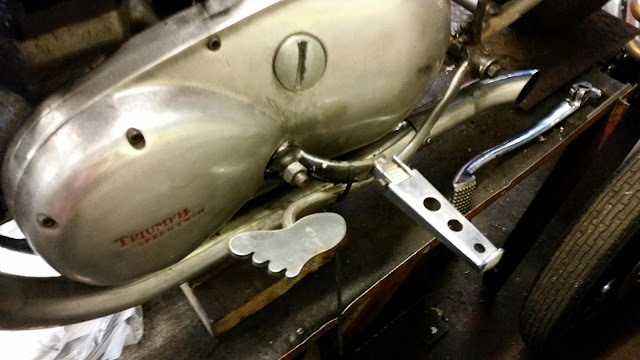 Scored a B25 brake pedal and pivot off the bay and made up a mounting lug for it. Had to extend it by 70mm, welded a benchdonkees footprint on it while I was at it. Got the front of the rear mudguard mounted too.